On Sunday, 30 October, luxury wine and spirit importer Moët Hennessy Diageo and the World Class Cocktail competition will come together to bring the Street Food Jam to the CCB (Asia) Hong Kong Wine & Dine Festival’s Tasting Room, a stylish dining area presenting a series of outstanding culinary programmes. With the HK government’s new Food Truck Pilot Scheme set to launch later this year, street food and small plates are all the rage with the food obsessed in the 852 (so just about all of us, then), so we’re particularly excited about sipping and savouring at this event. Jammers will get the chance to sample cocktail creations by master mixologists from Bao Bei, Bibo, Brickhouse, Jerry Maguire, Mr & Mrs Fox, Origin, The Woods and Zuma, with each tipple matched to food served up by the bar or restaurant’s executive chef. Over on Wyndham Street, Bao Bei’s USP is local- and Asian-inspired cocktails and small plates, with steamed bao their speciality. 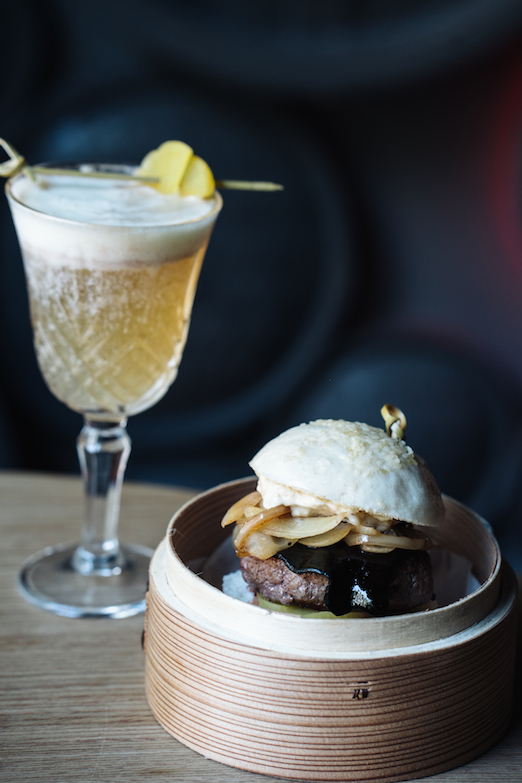 Fittingly, the team will dish out a beef ‘baoger’, a bao stuffed with a beef patty, Kabayaki black fungus, caramelised onion, onion aioli and daikon, matched with the Gold Digga cocktail (Johnnie Walker Gold Label Reserve whisky, umeshu, elderflower liqueur, green tea, plum juice, mascarpone, egg white and daikon). Street art meets French fine dining at funky Bibo in Sheung Wan, with Chef Mutaro Baldo overseeing the kitchen and Timothy Ching shaking things up in Le Comptoir de Bibo, Bibo’s bar. A beautifully plated version of the classic French scallop dish La Saint-Jacques – in this case, pan-fried Hokkaido scallops with coleslaw and lime zest – will be on offer, along with the alluring Eden Garden cocktail (Ketel One Vodka, Arôme orange, homemade tonka syrup, lime juice and pink grapefruit). 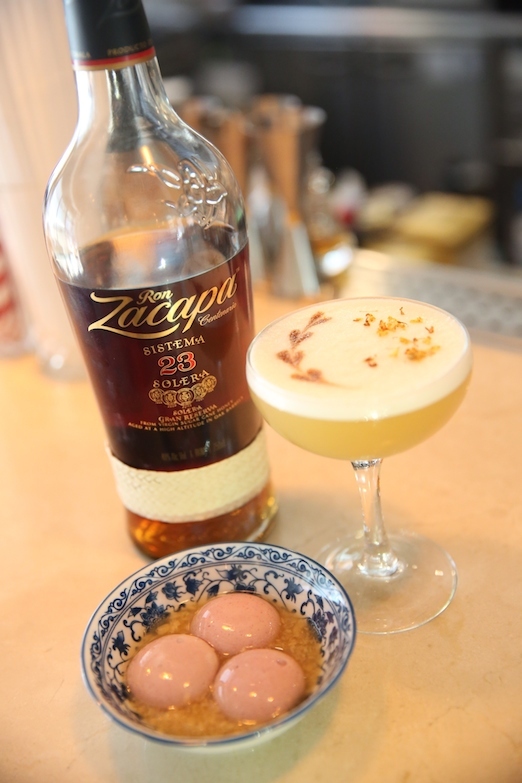 Brickhouse, LKF’s one-and-only Mexican hotspot, is always packed with punters keen to dig into the fiery fare, complemented by Lok Gurung’s killer cocktails. Dig into this eatery’s cheekily named Give a Cluck, a taco made with chicken, salsa verde, pico de gallo and Manchego cheese. 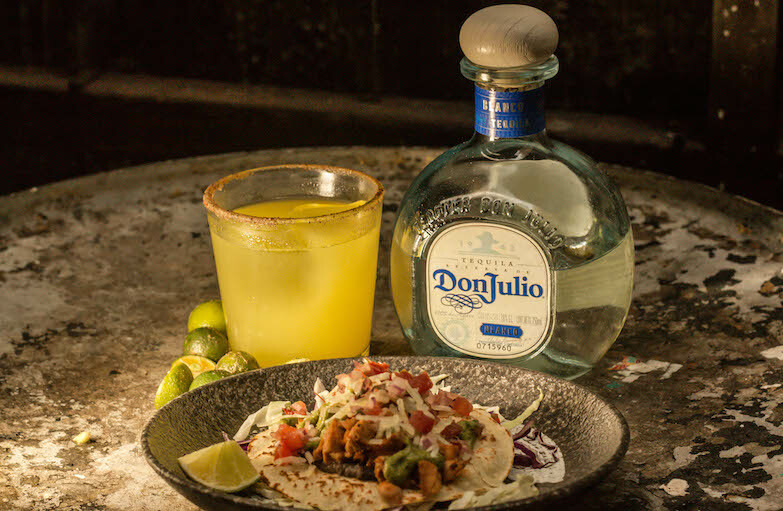 Wash that down with a calamansi plum margarita, created with Don Julio Blanco tequila, calamansi and salted plum. The mixologists at Jerry Maguire in Causeway Bay – famous for their experimental marriage of molecular cocktails with desserts – will present their Jerry’s Ginger Zacapa cocktail, made with purple sweet potato crème brûlée, Ron Zacapa 23-year-old rum, Domaine de Canton ginger liqueur, ginger peel, lemon juice, egg white and osmanthus syrup. 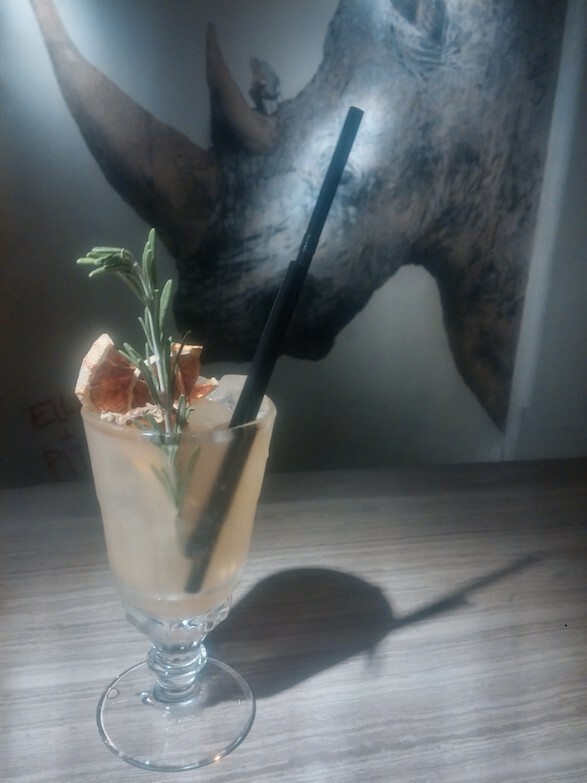 This drink will be paired with a refreshing yuba (tofu skin) barley panna cotta. 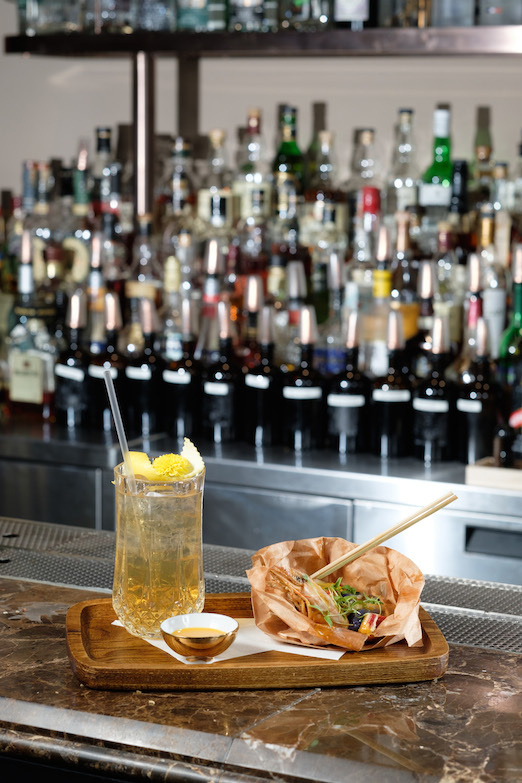 With Kervin Unido behind the bar and Chef Joey Sergentakis in the kitchen, the focus at Mr & Mrs Fox in Quarry Bay is on seasonal, ingredient-driven dishes and an impressive drinks menu, with a section devoted entirely to the G&T (choose your gin, tonic and garnish). We love the sound of their homemade Chiang Mai sausage bun, accented with pomelo, calamansi and a Thai roasted green chilli sauce. 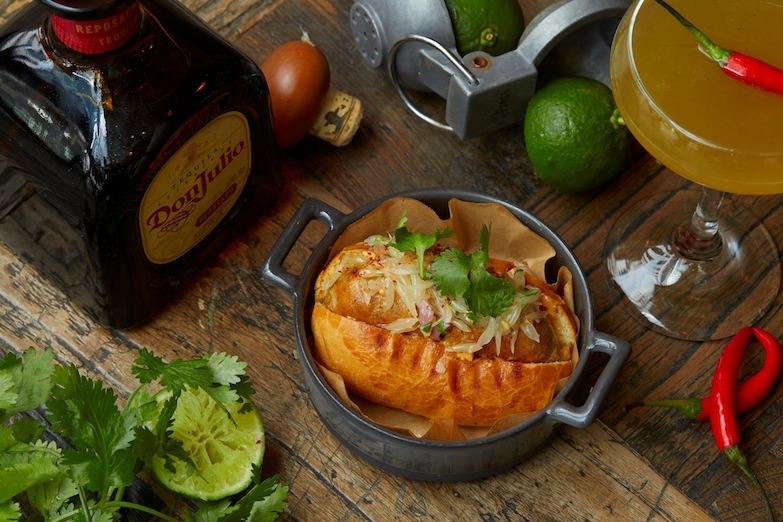 This will be paired with the savoury Spicy Timmy cocktail crafted with Don Julio Reposado tequila, agave syrup, lime juice, chilli and coriander. Perhaps HK’s most famous mixologist, Antonio Lai heads up the bar at Origin on Wyndham Street. Gin-based drinks are the stars here, made with a range of homemade gin infusion flavours. The Three Treasures – aubergine, red pepper and green chilli stuffed with minced white fish and red prawn, flavoured with red prawn head and hoisin sauces – will be dished out at the Street Food Jam, paired with The Remedy (slow-cooked chrysanthemum Tanqueray Gin with homemade tea cordial and soda water). Founder Victoria Chow’s drinks list at SoHo’s The Woods is simply mind-boggling, with both classic and seasonal tipples to choose from, all made with fresh fruits and veggies, artisanal spirits and hand-carved ice cubes. 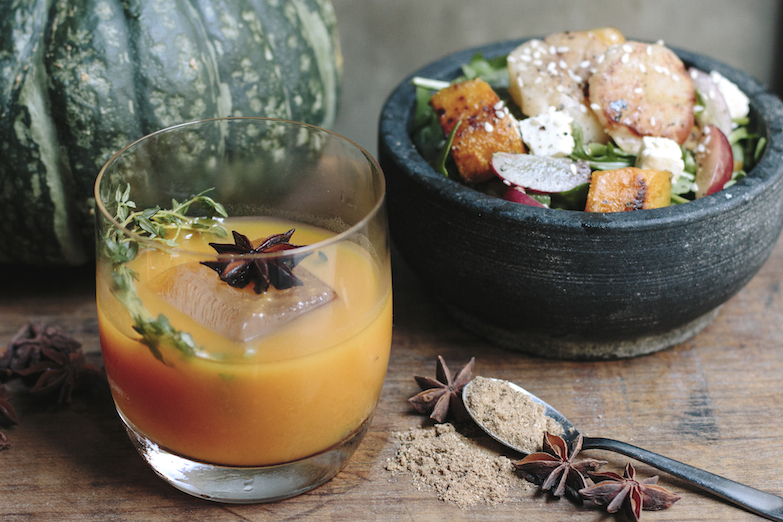 The Woods’ featured dish may sound simple – seared halloumi and pumpkin salad – but we’re sure it’s packed with flavour and the perfect complement to the Pumpkin Five Spice cocktail (Bulleit Bourbon, Punt e Mes vermouth, Chinese pumpkin purée, Chinese five-spice powder, salt, black pepper and honey). Glam Japanese bar and restaurant Zuma, nestled on the fifth and sixth floors of the Landmark in Central, is beloved for Chef Samuel Wilkes’ izakaya-style cuisine and Arkadiusz Rybak’s inventive cocktails crafted with sake and Japanese spirits. 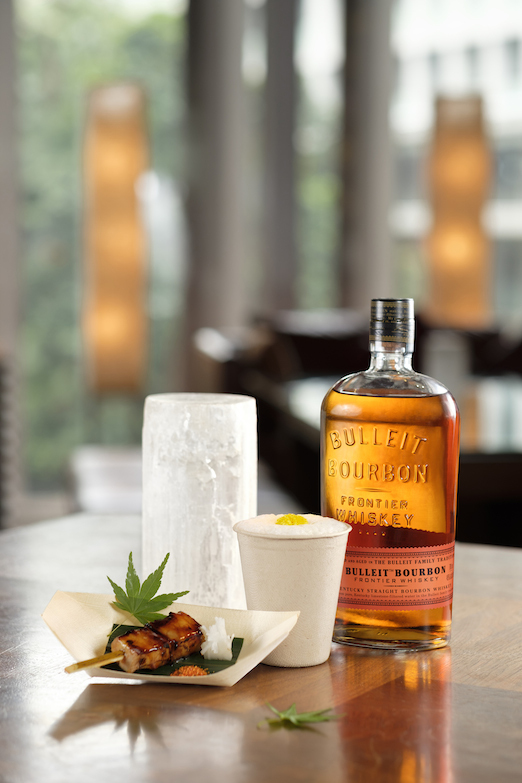 Arkadiusz’s Karasi Sour (Bulleit Bourbon, karasi syrup, honey, yuzu, egg white and mirin) will be paired with skewers of grilled Japanese Hakkinton pork with miso. Tickets to the World Class Street Food Jam on Sunday, 30 October (two sessions: 1:30–4:30pm and 6:30–9:30pm) are priced at $700.